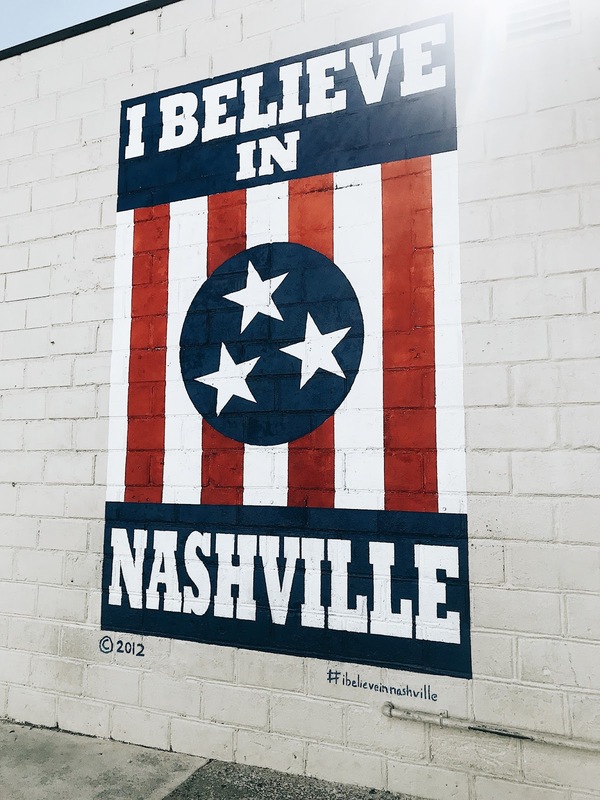 I thought it would be fun and helpful to share with you some of my favorite things we did in Nashville. We were there for 5 days and that was the perfect amount of times. Nashville would even be a fun place to visit for a long weekend! There are so many murals and artwork throughout the city of Nashville. You can spend time with a cup of coffee in your hand and explore all of the different walls of art! Some of them make for a pretty good photo op. 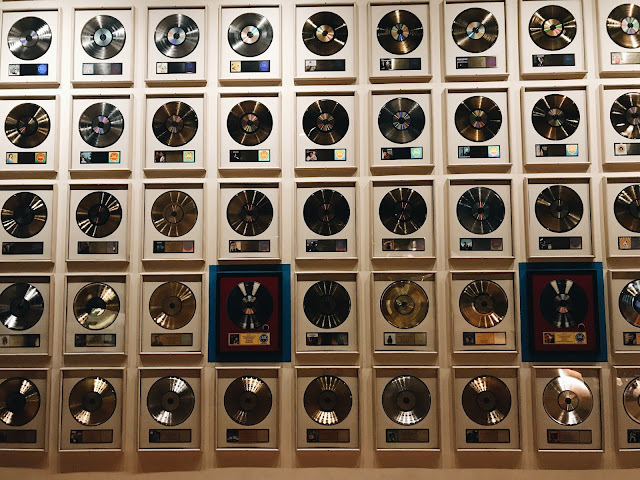 We had a rainy day in Nashville and thought it would be the perfect time to check out of the Hall of Fame. The cost of this Museum is around $25 a person. We loved walking around here and reading all of the information about past and present Country stars. My favorite exhibit was the Shania Twain one! They had all of her old outfits she used to perform in- I loved her growing up so this was really fun for me to see. I will say the one downfall was that since we went on a weekday there was a school there on a field trip- so we had to dodge around groups of kids. Other than that it was a really fun time! There were so many great shopping areas throughout Nashville. For souvenirs or 'touristy' stores stick to the shops right on Broadway. 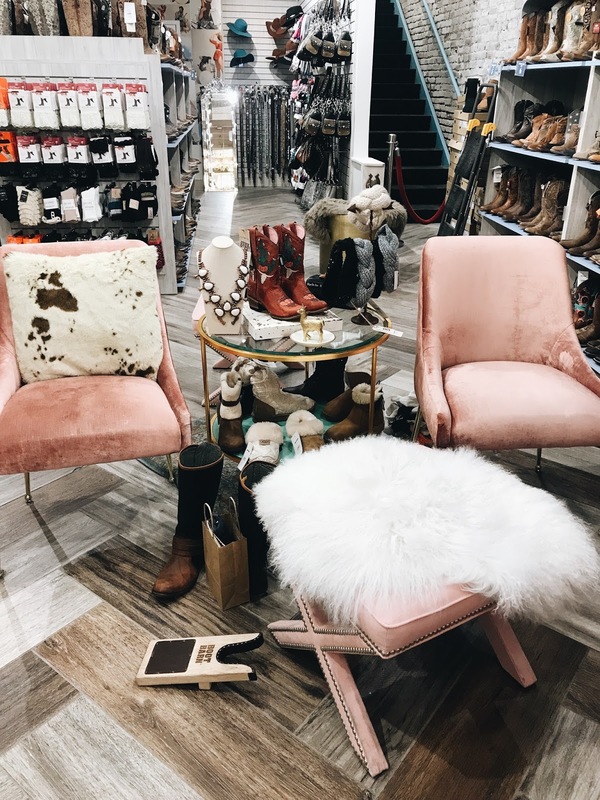 If you're looking for more upscale shopping the areas of 12 South and Hillsboro have some cute boutiques and restaurants! I loved grabbing a coffee at the Frothy Monkey and wandering into the cutest store called Moda next door! 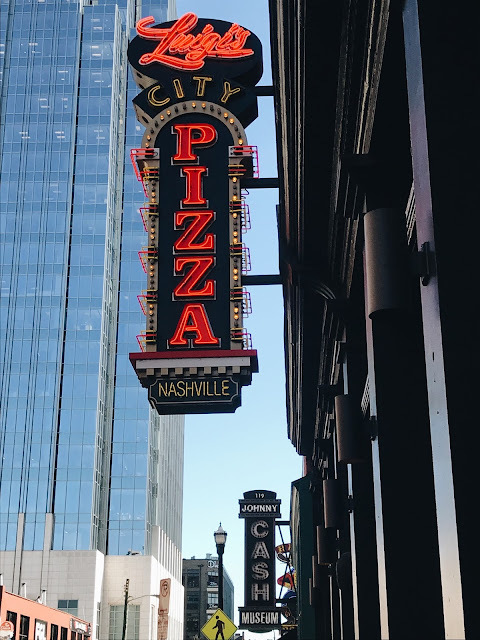 Broadway is the street in Nashville where all the fun happens! The street is lined with bars and shops that are full of SO much life! Every bar we walked past had live music blasting and it was amazing how much talent these people had! I loved popping into bars to see the next up & coming stars. You could easily spend your entire day and night just on this street. Many of the bars also have rooftop areas that are so fun! This was probably my favorite thing we did while in Nashville! 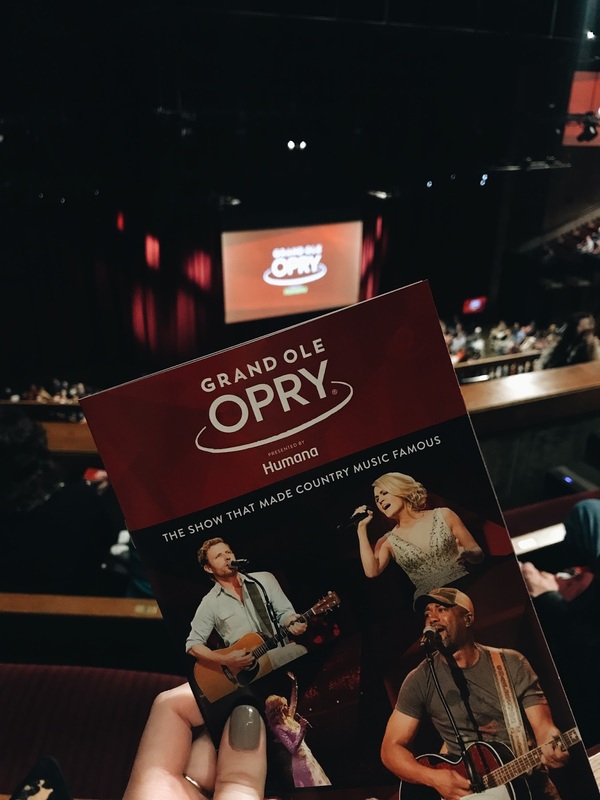 We saw Easton Corbin perform and it was just so amazing to see live music at this venue. I can't imagine living close to a place like this and having the opportunity to see shows there every week. The tickets were under $100 and completely worth it. We sat up in the balcony and had the best view. I highly recommend adding this to your to-do list! I love trying new restaurants and Nashville has some of the best I've ever been to! I did a full POST on my favorite places we ate. Be sure to check it out! Nashville is such a fun place to visit. We've gone there several times for a quick weekend trip and had so much fun! awe i love this!! Nashville is such an awesome city I def need to explore more!! My friend sings at the opry sometimes and it looks so magical!! Ahh I've always wanted to go to the Grand Ole Opry! Love this! 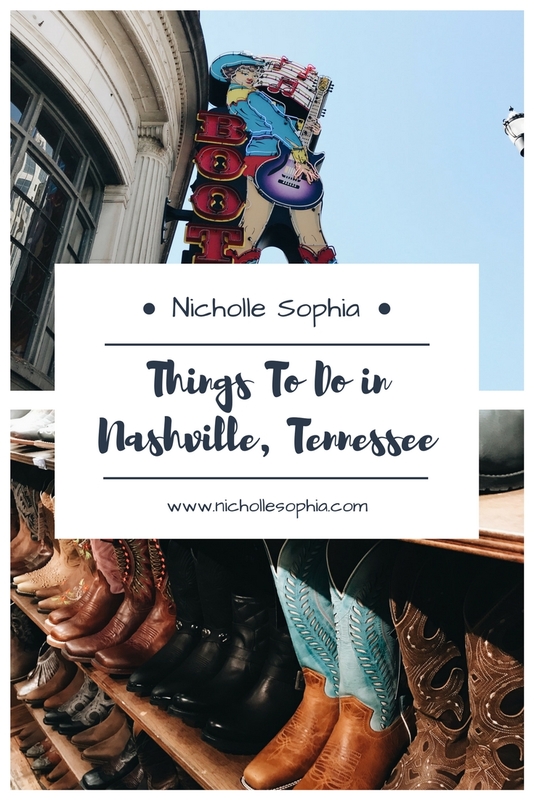 I can't wait to visit Nashville and definitely will have to hit up some of the places you mentioned! 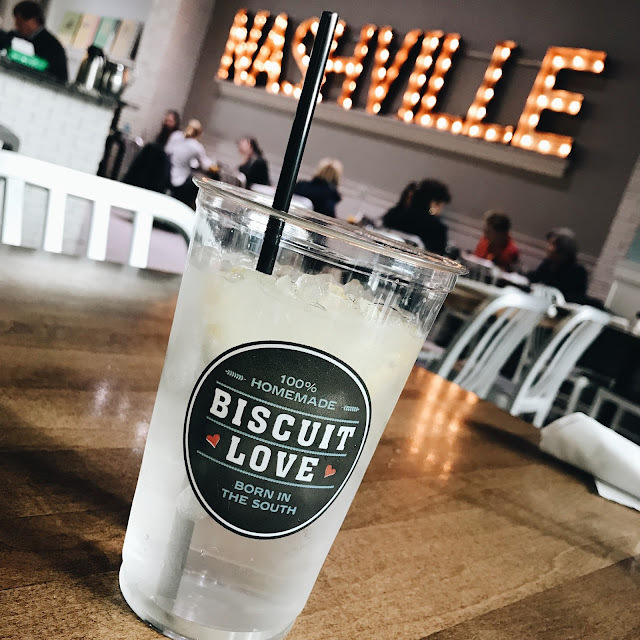 Your blog is seriously making me want to visit Nashville, which has never really been a must-see destination for me! Haha. Love it! SUCH a fun city! There's so much to do - this is such a great guide! how fun! i've not made it to nashville yet but it's on my list! Nashville looks awesome! I'm trying to go this year! TN is one of the 10 states I haven't been to yet - but am trying to get to this year! Thanks for this list!